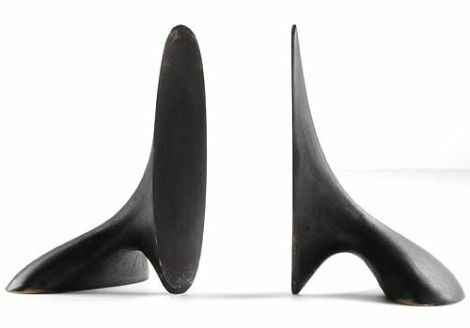 hmmm, well, i really like these bookends from austrian moderist carl aubock because they’re clean – based on a mid century design. i like how they disappear when in use to the viewer can concentrate on the books. they’re made of cast brass, so they have some heft to them. 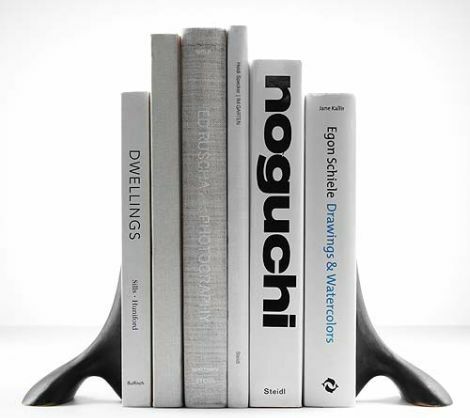 i also enjoy their organic shape, which serves a practical purpose of accommodating tall or small sized books. $498 at design within reach. on sale. that’s the only part i don’t like.